Here is an interesting recipe for breakfast with veggies. I have already given the recipe for Uppu Huli Dosa. 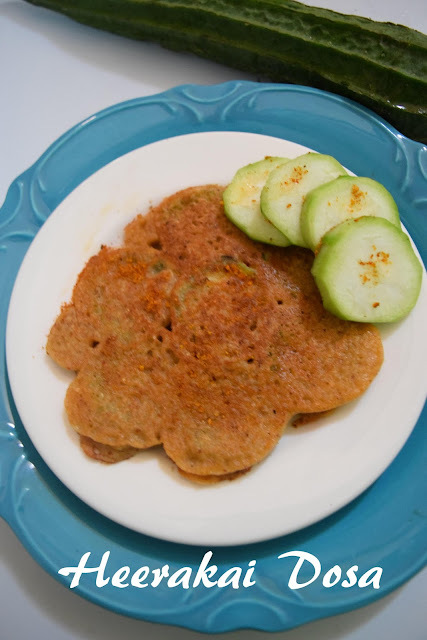 This is a variation using Ridge Gourd in the dosa. You can also use vegetables like sliced brinjal, zucchini and onions too. Peel and slice the ridge gourd into slices as shown below. Heat the dosa tava. Dip the slices in the dosa batter and place on the dosa tava as shown below. Keep the gas on simmer. Add a little oil to the sides of the dosa.Turn over after a few minutes. 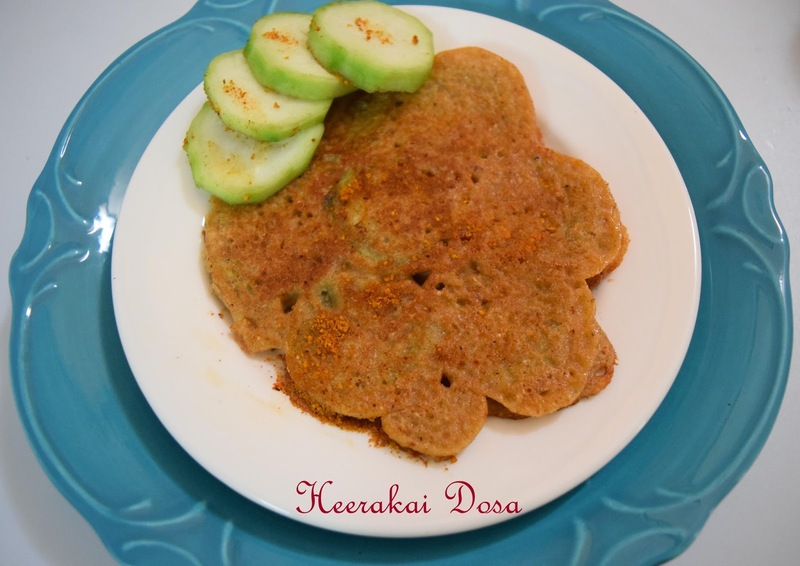 Serve the yummy dosas with butter and chutney powder.